Hey, don't worry about that creak from the staircase, it's nothing to worry about. If you don't believe me, then get out of that chair and see for yourself. Hmm, just one minute, though; it seems to be getting a little louder. And is that hoarse rustling actually breathing? Maybe you barricaded the door a mite too late and now you're gonna meet up with a bevy of moldering corpses, all of them delivered up by pens and brushes wielded by the likes of Jim McLaughlin, Ken Rice, Lou Cameron, Sy Grudko, Ace Baker, Jerry Grandenetti, Richard Case, Rudy Palais, Louis Zansky, and Paul Parker. 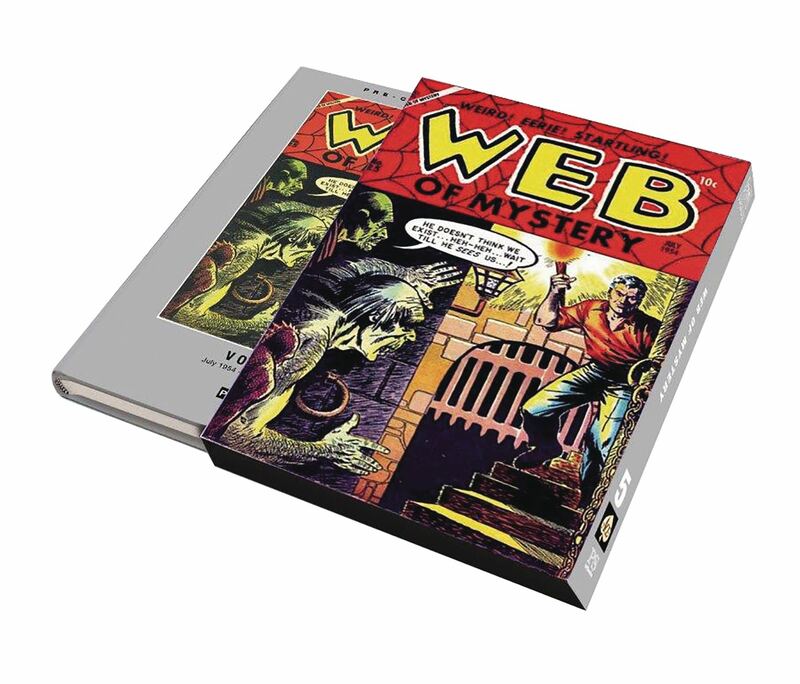 Collects Web of Mystery #25-29 (July 1954 to September 1955).